Two girls use forbidden magic to fly and fight--for their country and for themselves--in this riveting debut that's part Shadow and Bone, part Code Name Verity. Seventeen-year-old Revna is a factory worker, manufacturing war machines for the Union of the North. When she's caught using illegal magic, she fears being branded a traitor and imprisoned. Meanwhile, on the front lines, Linn defied her father, a Union general, and disguised herself as a boy to join the army. They're both offered a reprieve from punishment if they use their magic in a special women's military flight unit and undertake terrifying, deadly missions under cover of darkness. Revna and Linn can hardly stand to be in the same cockpit, but if they can't fly together, and if they can't find a way to fly well, the enemy's superior firepower will destroy them--if they don't destroy each other first. "Set in a world torn apart by war...how they get out and what they learn about each other is the main point." --School Library Connection "A fantastic story of fierce female friendships, flying, and finding your place...The world doesn't have enough stories about girls who need each other to survive--and this fills that void amazingly." --Amanda Quain, One More Page Books (Arlington, VA) "Throughly enjoyable. Linne and Revna deal with complicated issues of family, country, loyalty, and trust and how those intermingle... Their conflicting relationship, stemming in large part from their different backgrounds, drives the story as they both work for the success of the women aviators in a world with fascinating living metal planes." --Gwendolyn Baltera, Buttonwood Books & Toys (Cohasset, MA) "Has the feel and imagery of a World War II novel, but in a world run on magic... This novel is about beating the odds, female empowerment, and female relationships. It's a strong novel and I loved it all." --Lauren Nopenz Fairley, Curious Iguana (Frederick, MD) "An empowering story about the power of female friendships that questions the blind loyalty associated with patriotism and provides insight into the role that women have actively played in battle." --BCCB * "Full of sharply realized characterizations, intriguing magical elements, and twisty plots." 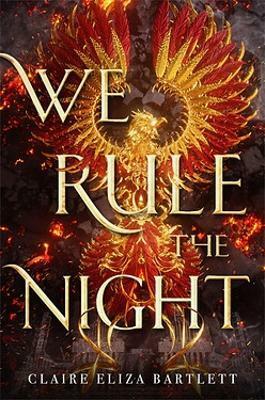 --School Library Journal, starred review * "Bartlett's electrifying feminist fantasy debut uses keenly wrought characters, harrowing action sequences, and creative yet economical worldbuilding to explore misogynistic military culture and the human cost of war." --Publishers Weekly, starred review * "The richly textured world, painted in snow and fire, filled with disparate, diverse people who all want to win the war, is background to a powerful, slow burning story that develops Linn and Revna's reluctant friendship, their growing understanding of the world, and their emerging identities as soldiers who may not entirely trust the country they are willing to die for. Undercurrents of religion, hypocrisy, betrayal, and honor roil beneath the alternating third-person perspectives.... A fierce and compelling breakout debut that should not be missed."